“Hamilton” may be coming to movie theaters, exactly as audiences saw it on Broadway, reports The Wall Street Journal. Hollywood studios are currently bidding for the big-screen rights to Lin-Manuel Miranda’s hit musical about founding father and former Treasury secretary Alexander Hamilton. But in an unusual twist, the “Hamilton” movie won’t be a filmed adaptation. Instead, it is a recording of the show made in 2016 with its original cast, including Mr. Miranda in the lead role. 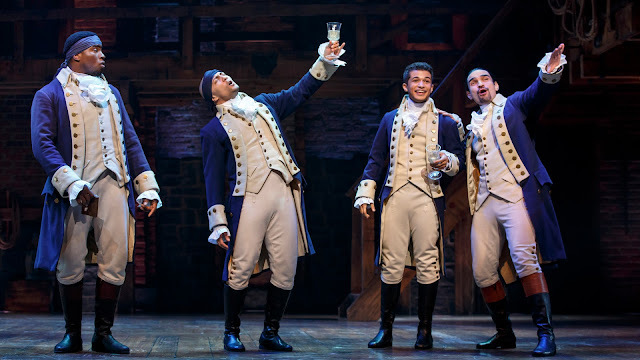 The world-wide theatrical rights for “Hamilton” could sell for more than $50 million.